A new leader is at the helm of William & Mary’s campus living efforts. Maggie Burkhart Evans, who previously served as executive assistant to the president of James Madison University, started as W&M’s associate vice president for campus living and director of residence life Aug. 14. The position was last held by Deb Boykin, who retired this summer after 38 years at the university. In her new role at W&M, Evans will lead the Campus Living area of the Division of Student Affairs, which includes the offices of Residence Life and First Year Experience. She will work with the 22 staff members — and 400 student employees — within those areas to plan and execute student and community development programs, manage the residence life budget of more than $33 million and oversee the residential program for about 5,000 students and more than 70 facilities. Among her other responsibilities, Evans will serve on multiple committees, including the university’s Emergency Management Team and the Committee on Education and Prevention of Violence. Evans holds a bachelor’s degree in communications and graphic design from Bowling Green State University and a master’s in educational policy and leadership from Ohio State. She worked at JMU for 27 years, with most of that time spent in the Office of Residence Life. She started as a residence hall director in 1986 and progressed through a series of positions before becoming director of residence life in 1996 — the same year that she served as the director of the Olympic Village housing for the Olympic Games in Atlanta. 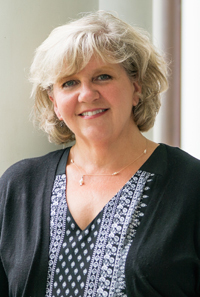 During her seven-year tenure leading JMU’s residence life office, Evans was responsible for every aspect of the department, including its business operations, residential education programs, housing assignment services, first- and sophomore-year programs and Greek housing as well as study-abroad programs in London; Antwerp, Belgium; and Florence, Italy. In 2013, she became executive assistant to the president of JMU, serving as his chief of staff and a member of his senior leadership cabinet. Evans held that position until coming to W&M this summer.